I’ve found myself at Open Door Coffee Co. most Friday mornings this summer, but not this morning. Usually, I tag along with my mum who is meeting a friend or two. I sit off to the side at a high window seat with my laptop and try to write something clever for this blog. Being an academic whose discipline requires a minimum of seven to twelve oversized, full color, extremely heavy books for every endeavor, I’ve never adapted to the chic coffeeshop lifestyle of University. The Coffee Shops’ tiny tables and intimate atmospheres just aren’t conducive for a laptop, notebooks, notecards, post-its, highlighters, and the University’s entire collection of books on 17th century colonial Dutch painting. Not to mention, if you spill a latte on one of those out-of-print, full color, exhibition catalogs, good luck paying that library fine. Academia aside, the lure of the Coffee Shop has always been strong, especially in a college town. So while I didn’t frequent Coffee Shops to do my homework, I certainly observed the Coffee Shop culture from a distance. Each shop has a personality. Just like tea or coffee, every Coffee Shop offers a different flavor and each one has its place, depending on your mood. 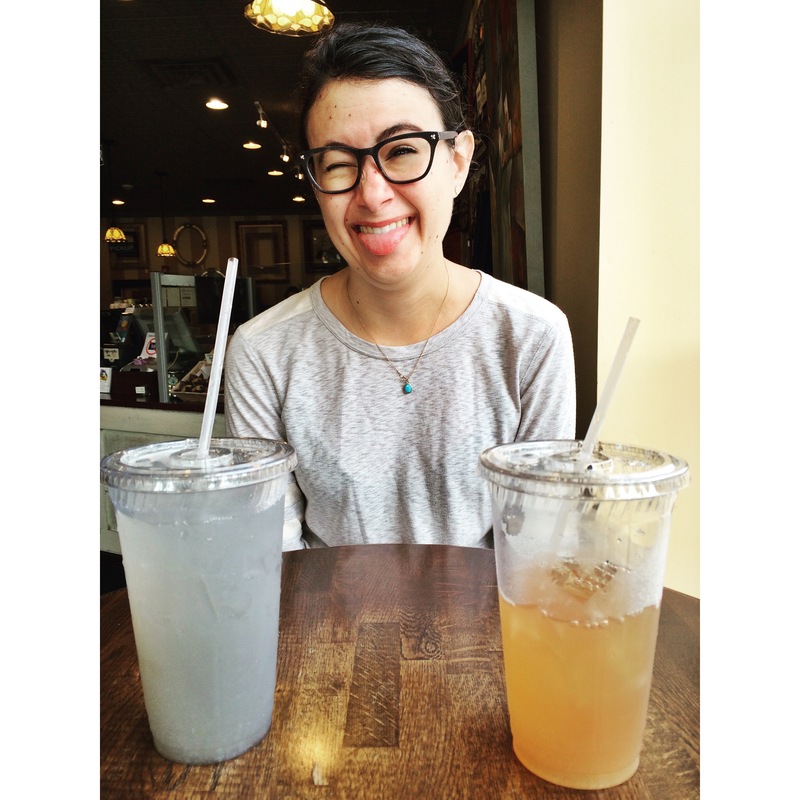 Jenna with her lavender lemonade and my Arnold Palmer at Open Door. 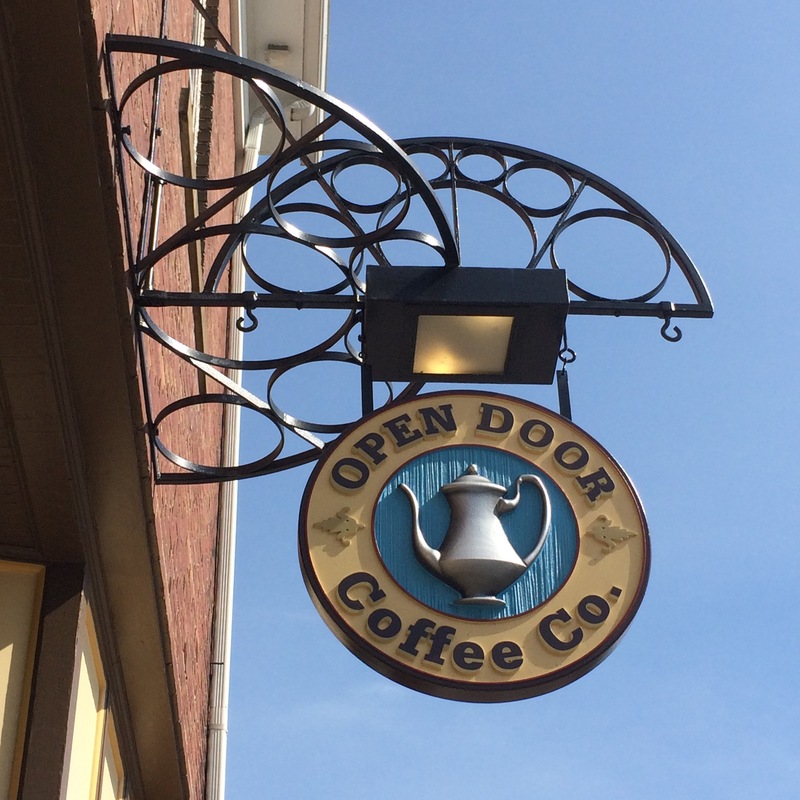 Open Door Coffee Co. is an Arnold Palmer – with a pump of peach if you’re adventurous. It’s cozy but bright and, like the beverage, associated with pomp yet completed unassuming. Located on the corner of a historic square in a ritzy town who boasts not only a specialty grocer and fancy-pants interior design store but also a boarding school, Open Door is where you go when you want Stars Hollow charm interrupted by a frequent Lexus rolling down the street. It’s cozy enough but also has plenty of full-sized tables for laptops. Open Door serves excellent baked treats to accompany their libations and equipped with two walls of floor to ceiling windows, the small shop is the perfect place to people watch. The Arnold Palmer: to be sipped while watching an almost disturbingly beautiful group of men and women with mysterious ages converse over their muffins. They’re in low-key athletic gear but somehow you feel underdressed. Vampires, probably. Considering the high influx of Beautiful People who Eat Kale for Breakfast and Vacation In Martha’s Vineyard, the cheery and down to earth staff at Open Door keep the historic small town charm alive. Moving south into my college town you pass three or four Starbucks. 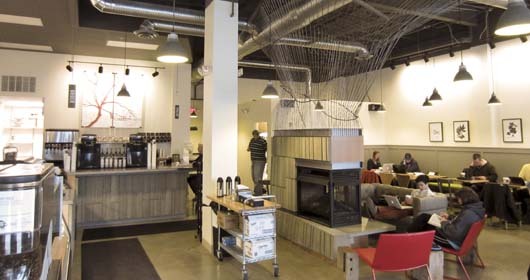 Don’t groan, Starbucks has it’s place, even in a hip college town. 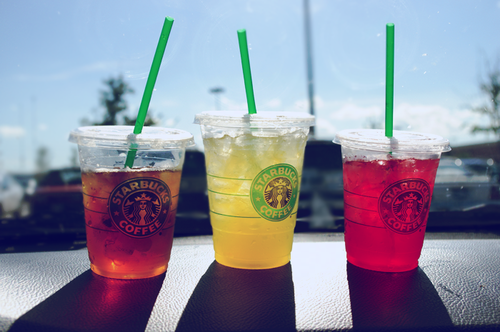 Starbucks is peach green tea or mango black tea, both iced. They’re the cheapest items on the menu while also being the most refreshing. You’re not getting coffee so you won’t be disappointed and you’re not getting a frap so you won’t get sick. Starbucks is that sort-of-friend who is a little pretentious, but is always there for you when you want to hang out. Like, literally, always there right around the corner. The Starbucks is situated on a corner in a German-village inspired two-story building. It has a lovely dark wood aesthetic with big tables for spreading out, but nine months out of the year it’s packed with students getting their half-off afternoon mocha-caramel-double-swirl-pumpkin-dipped-steamed-latte. In the summer, however, when the Starbucks is within walking distance from work, the peach green or mango black iced tea is an uplifting 3pm break. This is from Tree City’s Facebook. During the cooler months my two favorite Coffee Shops fall much more distinctly into “college town chic.” First, there’s Tree City Coffee & Pastry in the freshly revitalized downtown. 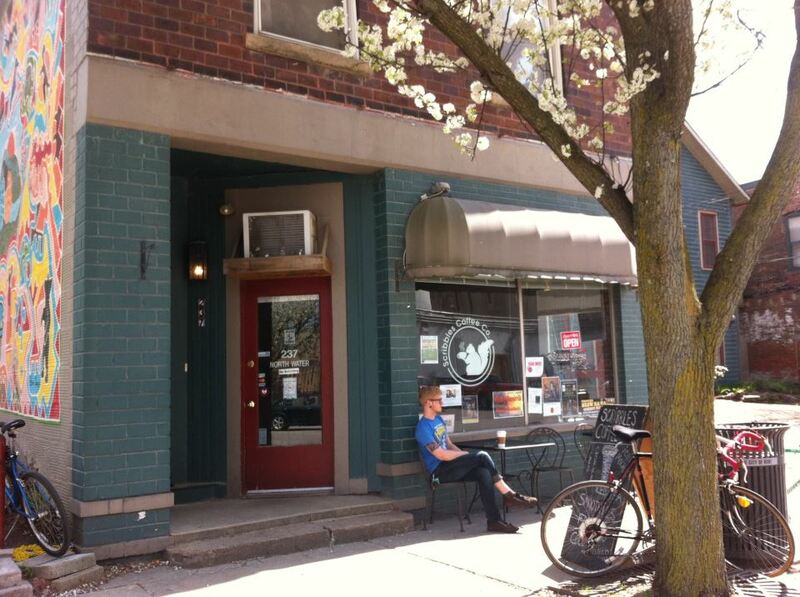 Tree City is their specialty Tree City maple latte. It’s rich, sweet but doesn’t destroy the coffee flavor, and you feel good for having bought it. The shop is very trendy – and a little expensive – but every drink I’ve had there is delightful. They’re like Starbucks, but local and delicious. Tree City has a unique seasonal menu which reflects their personality well. It’s unique, yet, very quintessential college town. Atmosphere-wise Tree City is less cozy than utilitarian but it stays open late for singers and wine-drinking. The Shop is across from an up-scale burger bar and has garage-door style windows that are pulled up on lovely days, making it a great stop when you feel like being an upbeat and trendy local. This is from Scribbles’ Facebook. Whatever the mood, I’ve throughly enjoyed exploring the local Coffee Shops and hope to expand my reach in the winter to ever such exotic locations as Cleveland. The Coffee Shop is a haven for all types and I hope everyone can find their Coffee Shop home(s). Enjoy!